Long range hunting and shooting has exploded in the past several years. Not too long ago your options for long range scopes could be summarized on one hand. Today, we have more options than ever before with more companies wanting in on this growing market. 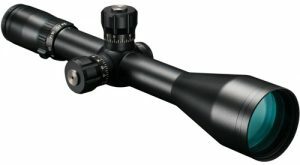 Lets look at the scopes that stick out in the sub 1000 dollar category. Durability: Risk of equipment failure significantly drops when buying quality optics. When approaching the $1000 mark part of what you are paying for is piece of mind that you are getting a solid optic that’s not going to let you down when it matters most. Scopes at any price range that don’t track properly, have wandering reticles or can’t hold zero are worth nothing. This is why durability is the number one thing to look for in a long range scope under $1000. Value: The $1000-1500 price range is pretty much the peak of value in optics for long range shooting. Can you spend more and get a better optic? Absolutely. That jump in build and glass quality isn’t going to be near as great as the one you make going from $500 to $1000 though. As with any product category if you want the very best you have to pay to play. I do believe scopes in this category give a shooter the best value for their dollar. Versatility: Some of us have the luxury of purpose built rifles for long range shooting, hunting, varmint calling etc. The rest of us usually need one rifle setup for multiple disciplines. When choosing an optic for long range use make sure to keep in mind the other uses that rifle needs to be able to accomplish. Is this rifle going to be hunting in the bush? Will an FFP reticle be too thin at low magnification? Do you need illumination? Keep these questions in mind when choosing your scope. Matching Turrets: I can’t believe its taken this long but manufactures are finally releasing scopes with matching turrets. For years long range scopes had mil-dot reticles with moa turrets. This never made sense and luckily is a dying trend. It would be like your speedometer reading in MPH but your odometer is in KPH. All scopes on this list have matching turrets. Warranty: Every scope on this list has an excellent warranty. Most are lifetime that even cover accidental damage. All these companies have proven to honor their warranty. Burris was fashionably late to the long range party but boy did they make an entrance. 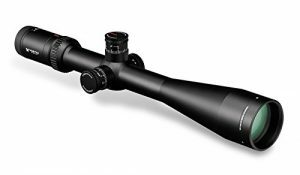 The Burris XTR II 3-15×50 is one of the newest optics on this list but is exploding in popularity. Coming off the success of the German made Steiner (parent company of Burris) Military line, the new Burris XTR II takes many design cues from its older, much pricier brother. The XTR II is fully featured. 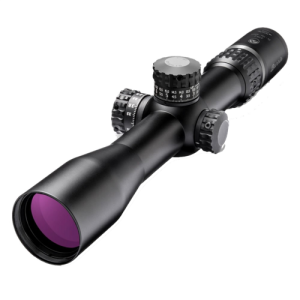 This scope has an FFP reticle which makes using holdovers at any magnification a breeze. Large exposed turrets give solid feedback along with a solid zero stop. Multiple powers of illumination that can be changed on the fly with the lower powers being plenty dim enough to have no flare while in low light shooting conditions. This particular model is in mils but it can also be had in MOA. Another side note, just like most of the big Euro scopes please be aware this scope needs 34mm rings. 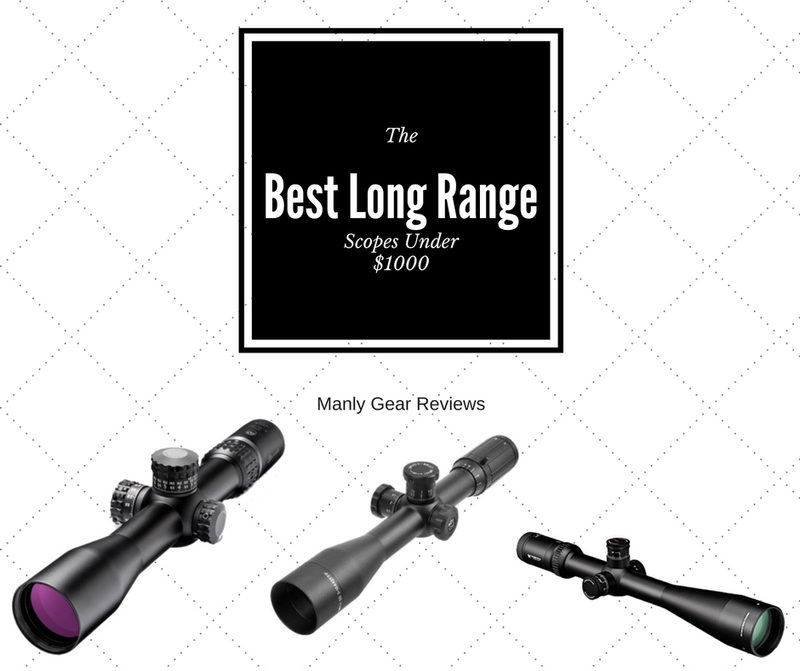 The Burris gets the nod from us as the best long range scope under 1000. It’s loaded with features, has some of the best glass quality in the segment and has the backing of an excellent warranty. SWFA has always been synonymous for best value in optics. Their entire scope line packs quality and even the low end $300 fixed 10x are made in Japan! SWFA for years had their fixed 10x scopes on the market and eventually released the HD 10x as well as the stellar SWFA 1-4×24 HD FFP scope. Soon after the 5-20×50 ffp model was released with the 1-6×24 HD. Those are all excellent optics but carry a hefty price tag. In comes the 3-15×42. The SWFA 3-15×42 comes in both FFP and SFP reticles. The scope shares similar turrets and body style to its fixed 10x brothers but integrates a cat tail in the power ring along with a side parallax adjustment. Glass quality is going to be about on par with the Vortex Viper, maybe a hair below the Burris XTR II. The Japanese construction shows in this scope as it just feels like a quality unit. SWFA is based in Texas and has a fantastic warranty program. If you are wanting to come in several hundred under $1000 this is a fantastic unit to go with. 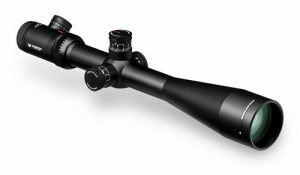 The Vortex Viper 6-24×50 HS-T is a fairly new extension off of the Viper PST line of scopes. Keeping the price down with the elimination of the FFP reticle and illumination, this scope lacks some of the features of the PST line but keeps all the necessities that make the Viper line so popular. Glass quality and turret feel between the PST and HST are equal. Above 21x you will experience some dimming but the resolution of this scope is truly impressive at this price point. Since this optic has an SFP reticle it will excel at steel shooting and paper punching at distance due to the reticle thickness staying small at higher powers when compared to FFP. This would make a fantastic budget F-Class or prairie dog scope. If you intend on doing PRS style matches it may be worth spending the extra couple bucks for an FFP optic as being able to use holders at any power can prove indispensable when trying to shoot at the speed those matches require. Vortex offers a stellar lifetime no fault warranty. This scope is definitely the best SFP long range scope under $1000 and will be making it’s way onto my 20 Vartag for this summer’s prairie dog session. 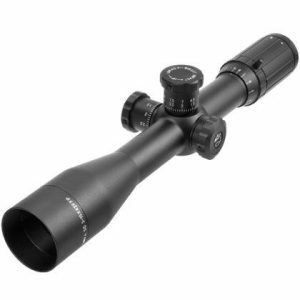 The Vortex Viper 6-24×50 PST is the HST’s older and bigger brother. Adding an FFP reticle and illumination this scope is as fully featured as the Burris. Vortex introduced the Viper PST line about 4 years ago and has given it a couple subtle revisions since its release. When it first came out the magnification ring was rubber like the gen 1 razor. This was ok but the move to redesign the magnification ring and get rid of the rubber was a good one. Most who have spent time on the early units agree that the latter units have slightly brighter glass. The zero stop system is shim based which allows the user to customize where their turret actually gets stopped. This can be beneficial as it will allow you to dial below your zero if shooting at ranges less than your zeroed range. The diopter and parallax adjustments are very smooth and easy to set for each shooter. Power ring is smooth and has no discernible tunneling effect. If you need a higher power FFP optic, it would be wise to put the Viper PST 6-24×50 on your list. The Weaver 4-20×50 Tactical has been out almost as long as the Vortex Viper PST but for some reason hasn’t been as big of a success. Most of that is probably because Weaver’s marketing department needs a kick in the pants as this optic is among the best in the $1k price range. Like the SWFA, the Weaver Tactical line is made in Japan. Some say in the same factory as Nightforce and the Vortex Razor line. Build quality is definitely a strong suit for the Weaver Tactical 4-20×50 as this is optic physically matches up very well to even top tier optics. Glass quality is right up there with the Burris XTR II. The Weaver Tactical is the optic for you if you value build quality above all else. Lacking only zero stops, this FFP optics is almost fully featured and would make a great addition to your long range rifle. Bushnell hit the market in the jaw several years back with the release of the 3.5-21×50 ERS series of optics. Small form factor, FFP reticle and later the addition of zero stops. Those optics offered incredible value although above the $1000 mark. Lucky for us, that technology has trickled down into some of their sub $1k offerings. The Bushnell Elite Tactical 6-24×50 rifle scope used to be a basic moa/mil reticle SFP scope. Today, Bushnell has upgraded the design with the awesome g2 FFP reticle along with matching mil turrets (sorry about the wrong photo). Coming in under the $1000 mark, this scope will give you Japanese build quality with great glass. If you do not need zero stops or illumination this scope would be a great choice for long range shooting.